Just A Car Guy: Jim and Chris from Ferndale, Michigan - compliments of the day! Jim and Chris from Ferndale, Michigan - compliments of the day! 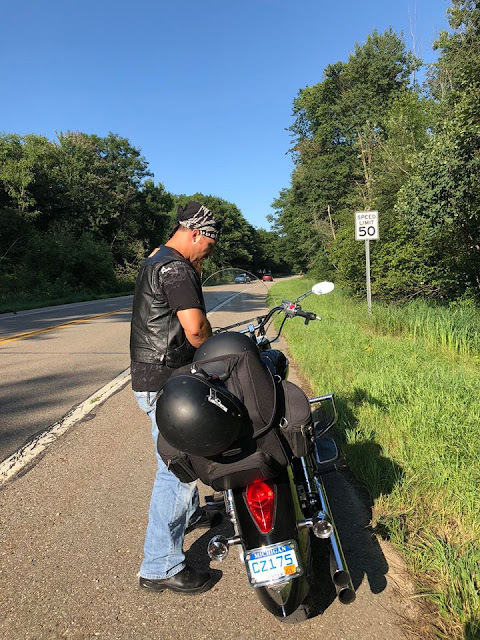 Last Thursday Niki and her husband were on a motorcycle ride halfway between Caseville and Port Austin, when the reserve tank failed and they were out of gas, in the middle of nowhere, on the side of the road. So.... they started walking, but didn’t get far before a Jim and Chris stopped to help. They gave Niki and her husband a ride to the nearest gas station which was not a short drive. They waited while a gas can was acquired and filled, and then drove them back to the motorcycle. They even waited to make sure that everything was all set and the motorcycle was back on the road. Good souls Jim and Chris are. Absolutely, compliments. Yes, good on them. Good things are done by good people everyday, but that doesn't sell papers so we don't usually hear about it. If it happens to you, pay forward.